The Gateway Pundit’s Cassandra Fairbanks is in London covering events outside the Ecuadorian Embassy. On Monday night Cassandra spotted an undercover police vehicle staked out outside of the embassy. On Tuesday Cassandra reported that the same car is sitting outside of the embassy spying on the activities. 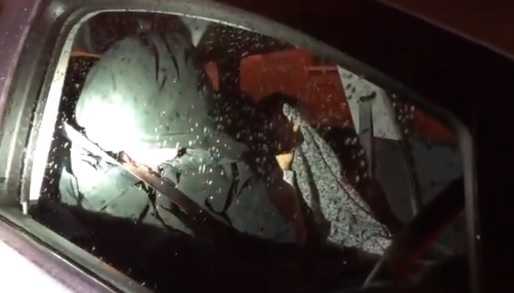 Cassandra approached the vehicle on Tuesday late night and confronted the officers. She confronted the police for the third time. Cassandra Fairbanks: How come you guys are watching him but you don’t want to be watched yourself? Why do the watchers not want to be watched? Previous Previous post: Is It Finally The Time? President Trump Inches Closer To Openly Defying A Judicial Order.